First of all I wanted to apologize for the delay in this #FashionwiseHairCareWeek Babyliss Curl Secret giveaway. My fiancé and I received some sad news about the condition of my mother-in-law who unfortunately is not well at all. To make things worse, my fiancé was also rushed to hospital during that time and hospitalized for a week. He’s back home now, but tomorrow is his check-up and if everything goes well, he will undergo a procedure within the next few weeks (so, fingers crossed !) . Therefore my world kind of stopped at that time and that is the reason why I didn’t follow through on the haircare series. But… Enough with my complaining! let’s start with some good news now… the BABYLISS GIVEAWAY. 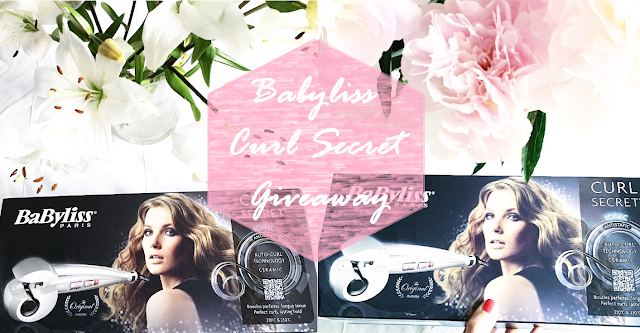 I have not 1, but 2 Babyliss curl secrets that I can give away to my lovely readers. Here’s what you have to do in order to win 1 of these 2 lovely Babyliss styling tools. 3/ comment below this post with : your name, which one of the above social media accounts of mine you follow & your own social media username so that I can get in touch with you if you’ve won!. 4/ this competition is open for Belgian residents only! This giveaway ends the 2nd of June 2016! Hi! Wat leuk zeg! Ik volg je op FB (Miekske Dingens) en ben sinds vandaag geabonneerd op je YT channel. Jammer genoeg nog steeds geen IG of Snapchat... Moet er echt eens tijd van maken... Maar iig hopen op een kansje!!!! En nu vingertjes heel hard kruisen ! Woop - good luck everyone! YAY!